Glad it is happening. 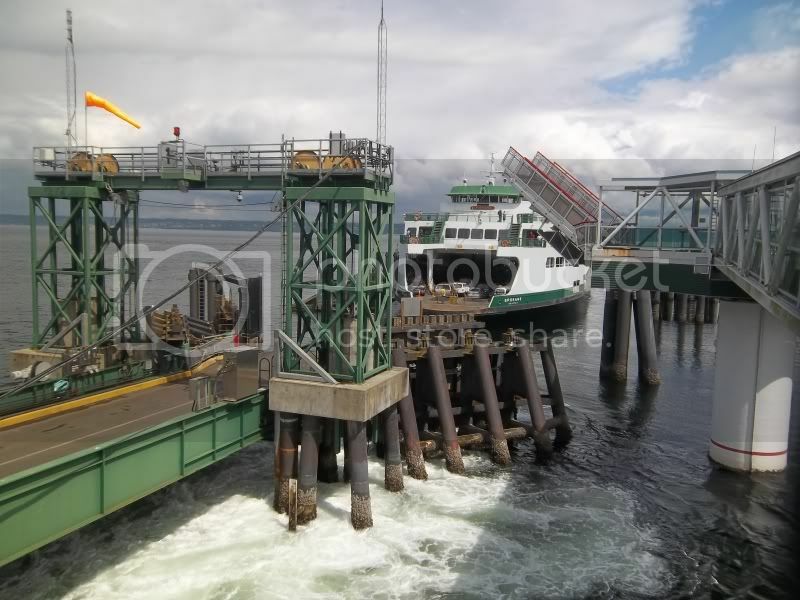 Starting to plan my vacation to Hurricane Ridge and it will be easier with the second Ferry on the run. It will make it a lot easier up there. I expect that both the vessels will be running behind schedule a lot, especially if they have high traffic volumes. No two lanes on the Chetz are the same width. The Salish looks to be the same way. The un-even configuration of the car deck makes is challenging to load quickly because each vehicle needs to be directed to a specific spot. Each turn-around (except for two at Port Townsend) is 15 minutes long. It takes at least 20 minutes to un-load and then load (that is if it's a good crew that knows the boat real well and does two lane off-loading and loading). When the boat is full off-loading and full loading, the turn-around time goes up quite a bit. 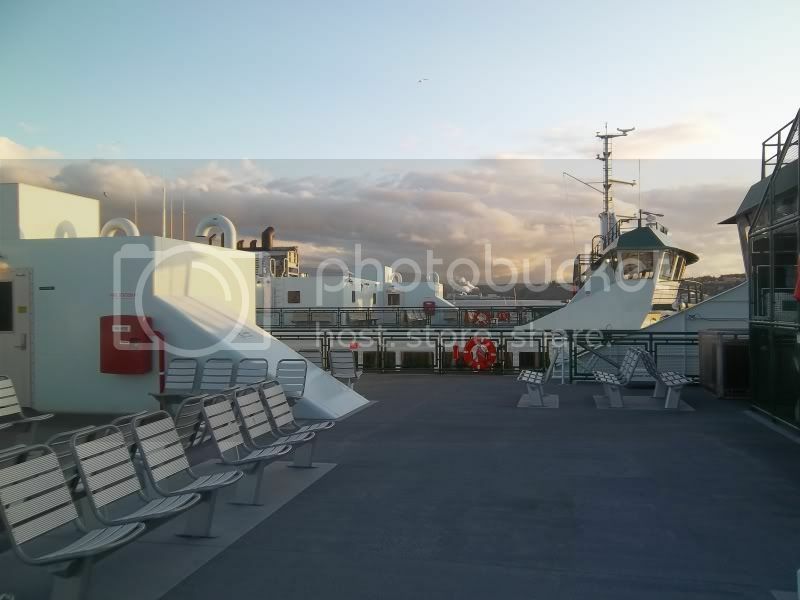 I would have liked to see the Salish have more evenly spaced lanes on the auto deck. I can't really say that the crew is doing a bad job at loading, because they are not. It is just the way that this particular type of boat works. The turn-around time is going to need to be pushed up to 20 minutes if they are to have a chance of running on-time. WSF does not post it too often, but it is regular for the Chetz to be 15-25 minutes behind schedule by the time the 19:30 trip leaves Keystone. 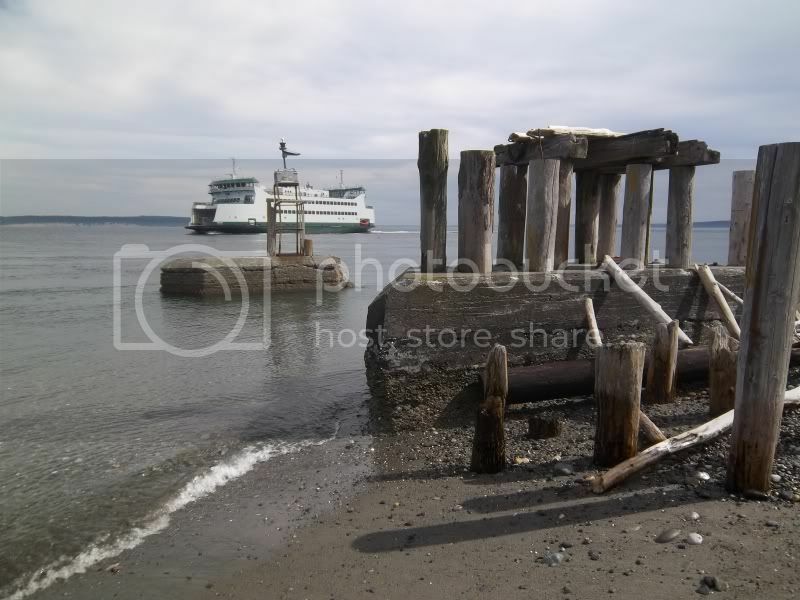 Back in Port Townsend again. And, more SALISH sightings! 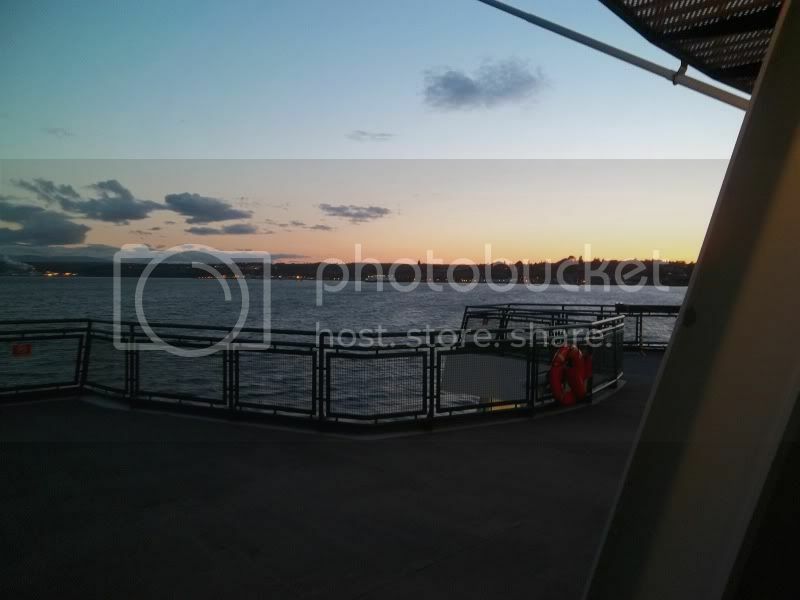 A couple of non-SALISH photos before we see the ferry of interest on this thread. 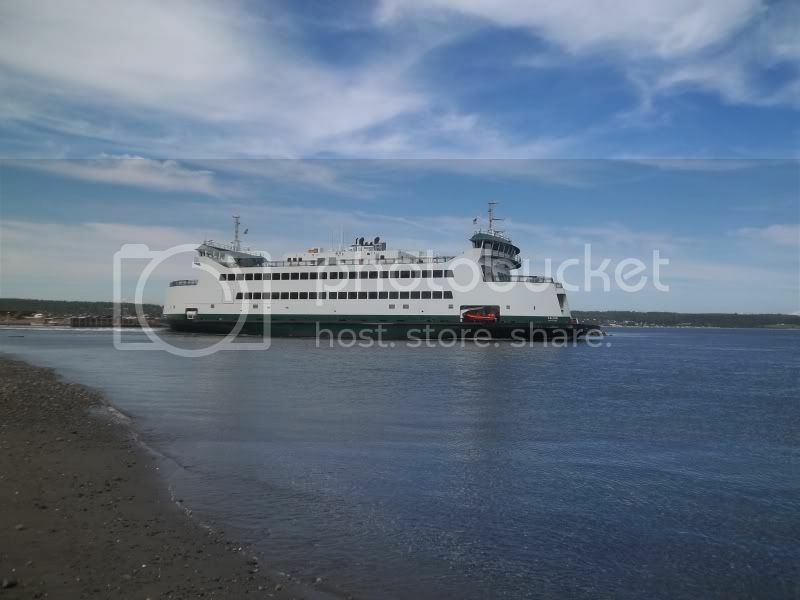 Took the SPOKANE from Edmonds to Kingston and transit to Port Townsend. SPOKANE leaves Kingston for Edmonds. It'll be a little while before I take transit. Here we are, once again. 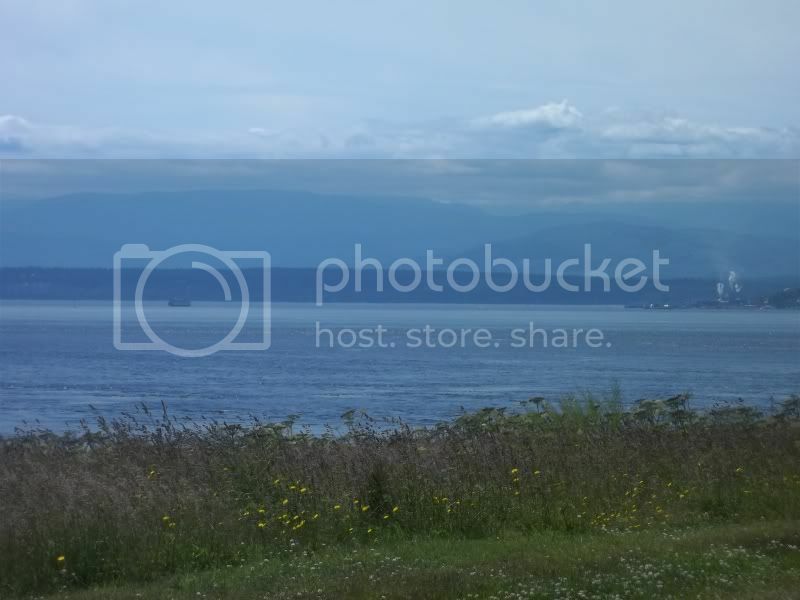 The CHETZEMOKA and SALISH. I'm about to board the CHETZEMOKA on her final round trip of today. 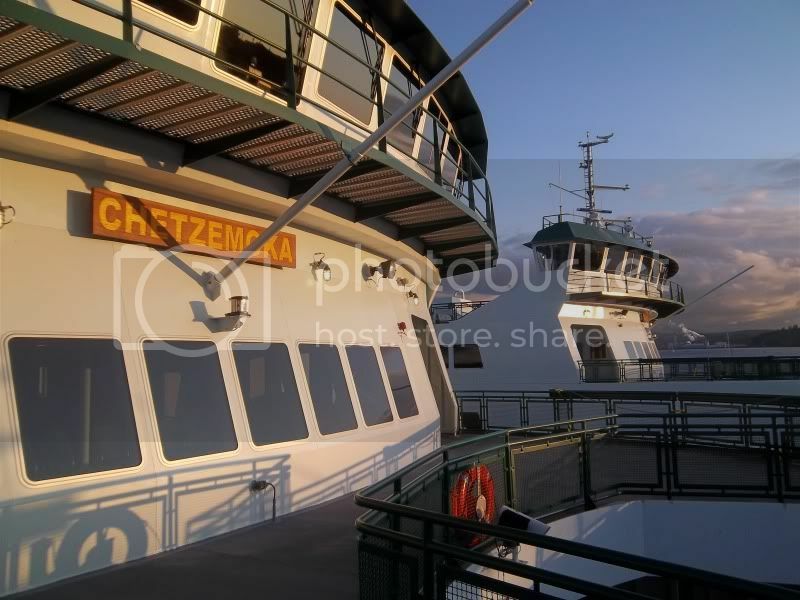 SALISH face from the deck of the CHETZEMOKA. 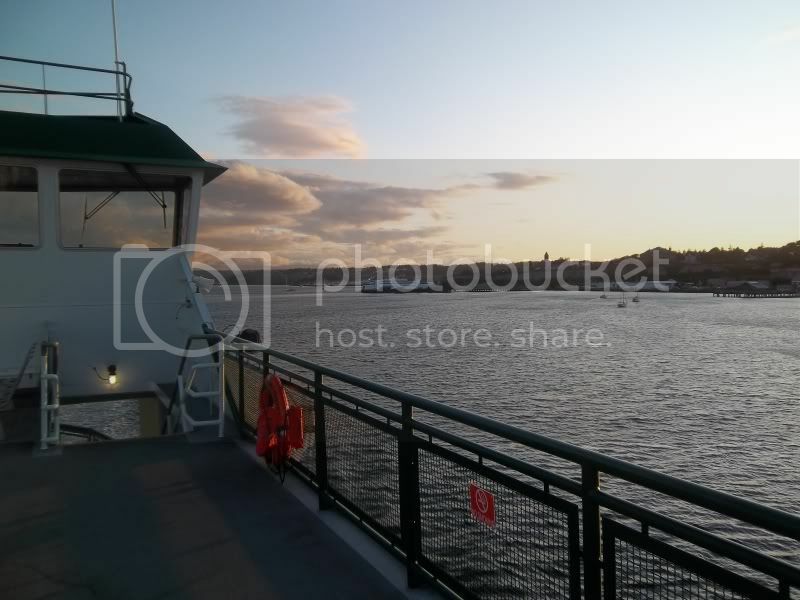 SALISH from the Sun Deck aboard the CHETZEMOKA. Central core of the SALISH. 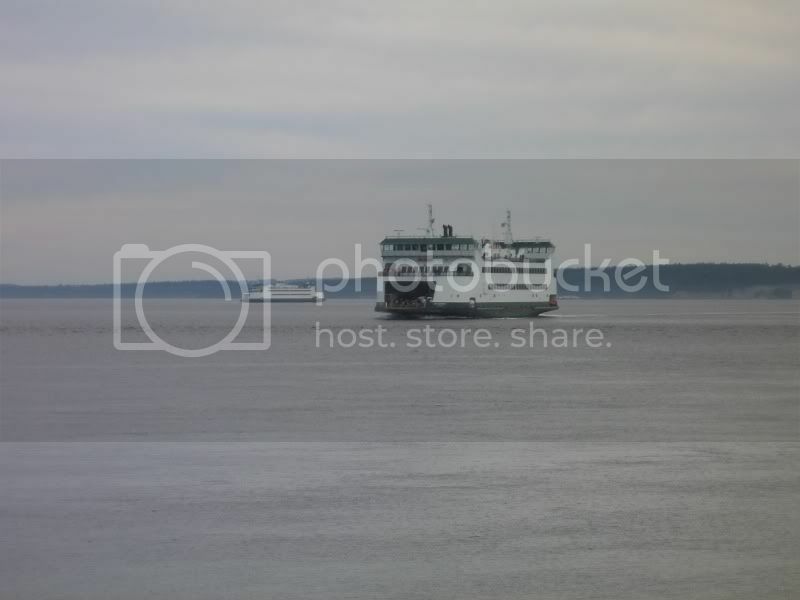 Leaving the SALISH and Port Townsend behind. 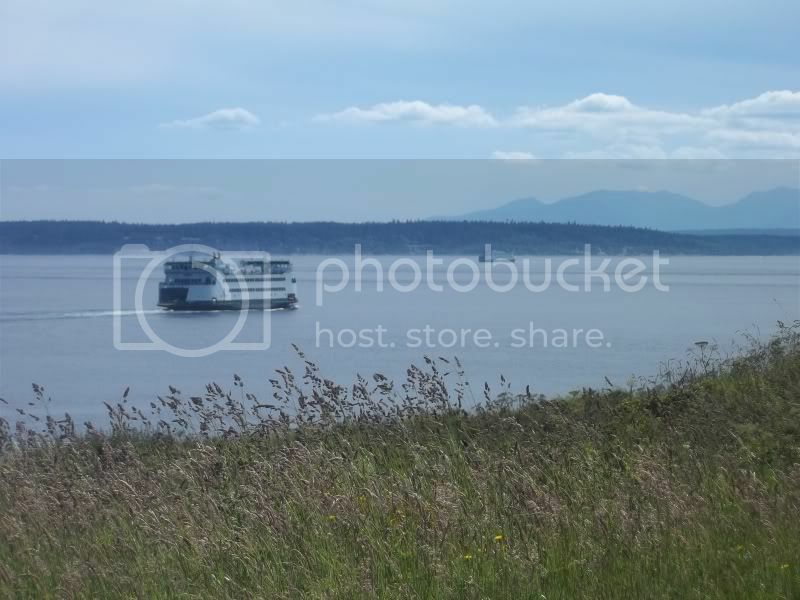 Returning to Port Townsend, we see the SALISH from the CHETZEMOKA's observatory at End Number One. 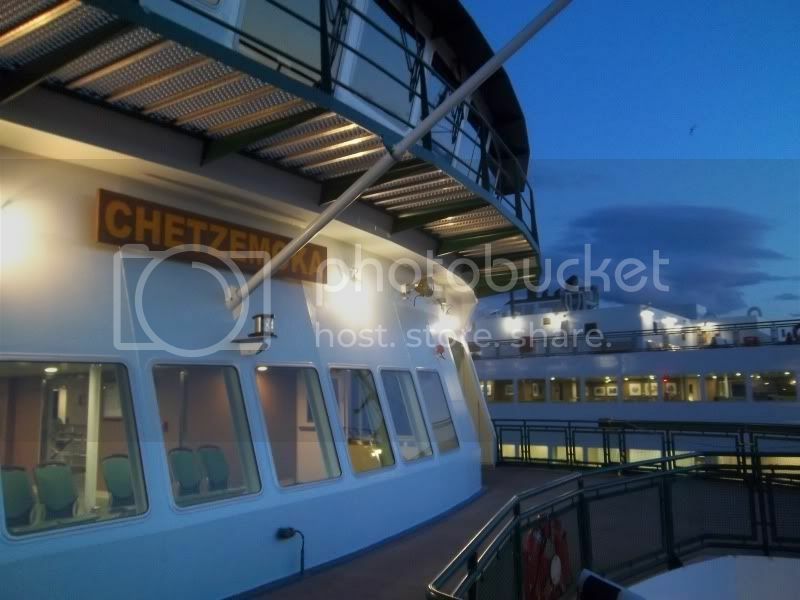 A peek into the SALISH's interior from the deck of the CHETZEMOKA. All ashore for the night. CHETZY's day is done. Final photo of the night. The captain forgot to turn off the navigation lights. They're still on as I prepared this photo presentation for you to enjoy. Nice photos! That was awesome last night. The sun was at a great angle. I got off the Chetz right before you got on. That boat got really late yesterday afternoon. I wish I could have known what you look like. I'd love to meet you in person. 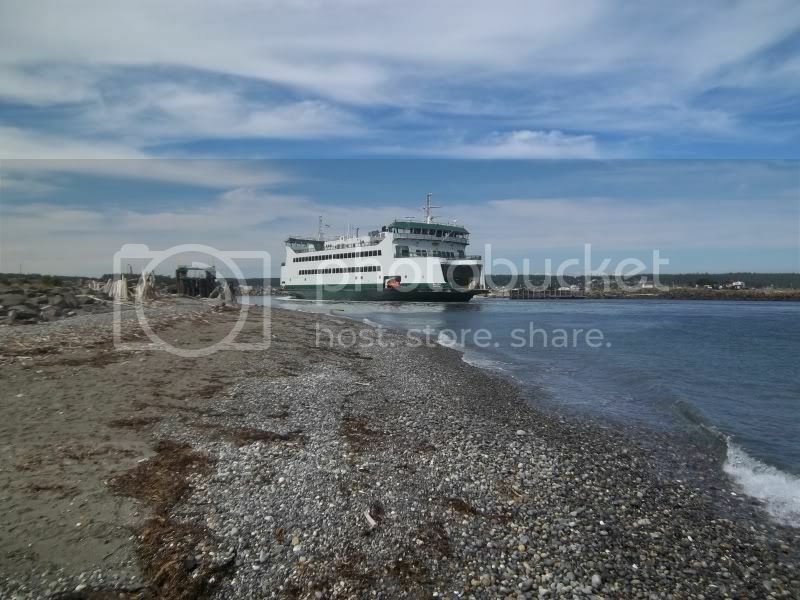 Some more photos of the SALISH were taken today. 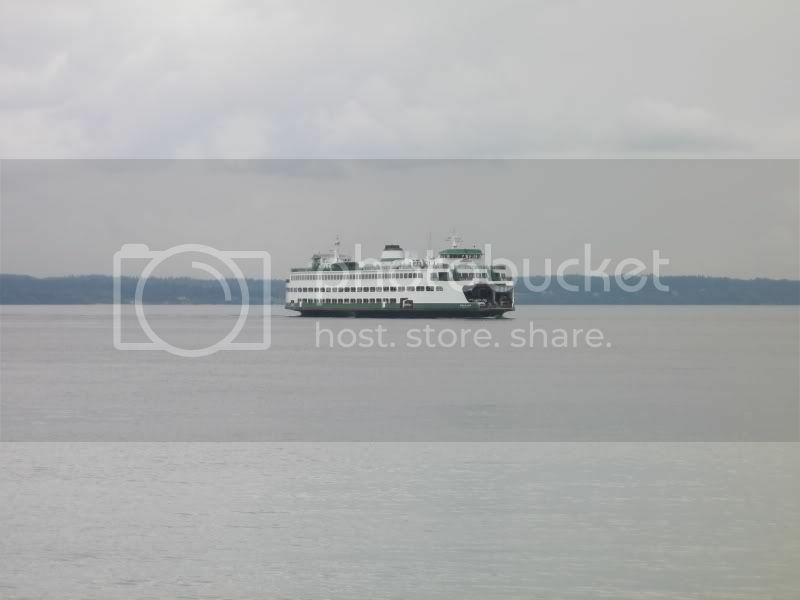 There's a bit of a difference in how each ferry line operates. 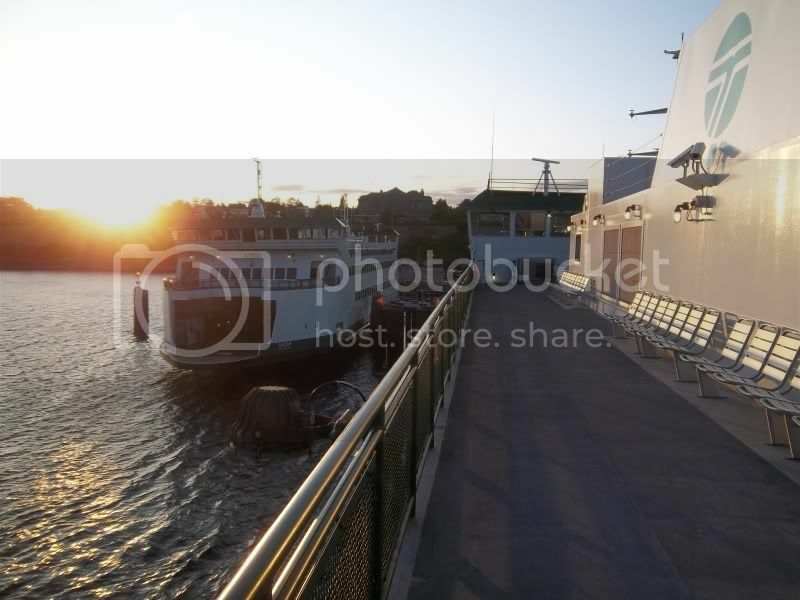 If you notice the evening photos I have taken of the KDTs, they have deck lights on the Sun Deck. 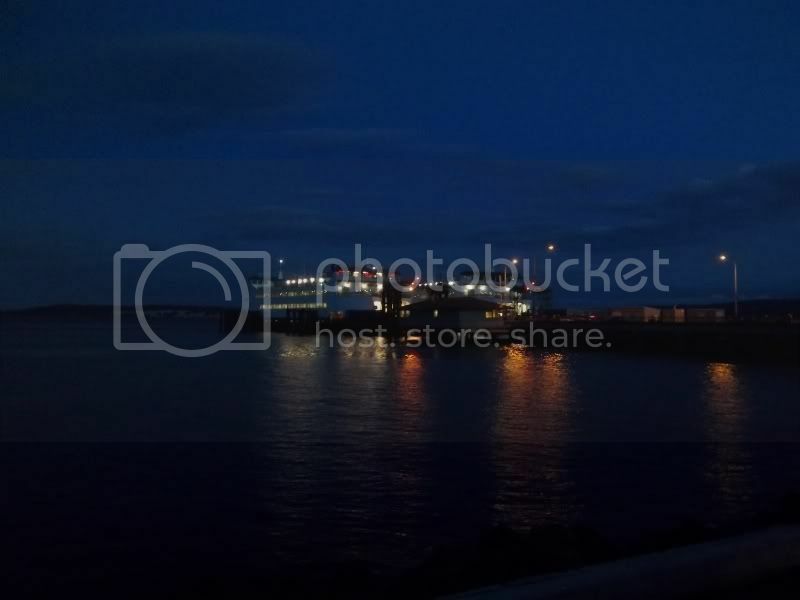 For some reason, the SSA has these turned off aboard the ISLAND HOME (prototype of the KDTs) as we see in this enlargement of the mvtimes.com 1815PDT (2115EDT) capture taken this evening. 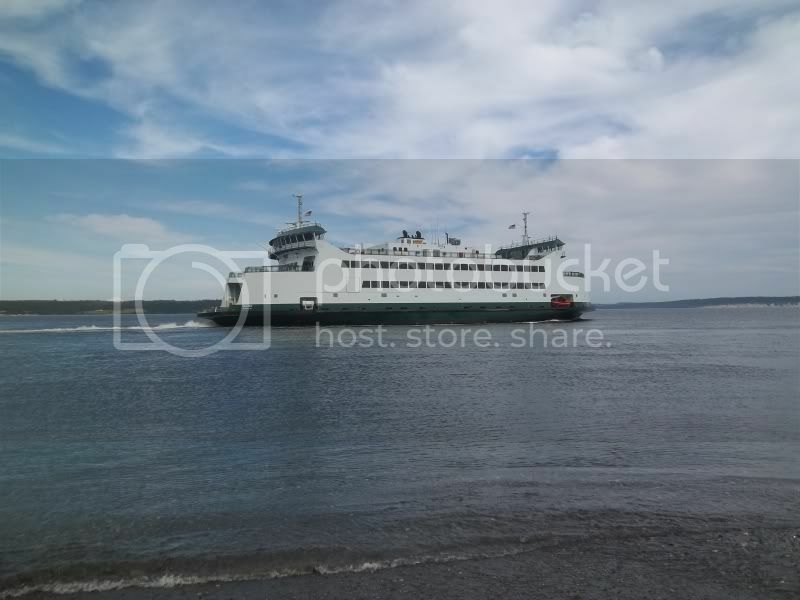 Earlier this afternoon, the SALISH leaves Port Townsend for Keystone Harbor for another round of landing practices there. 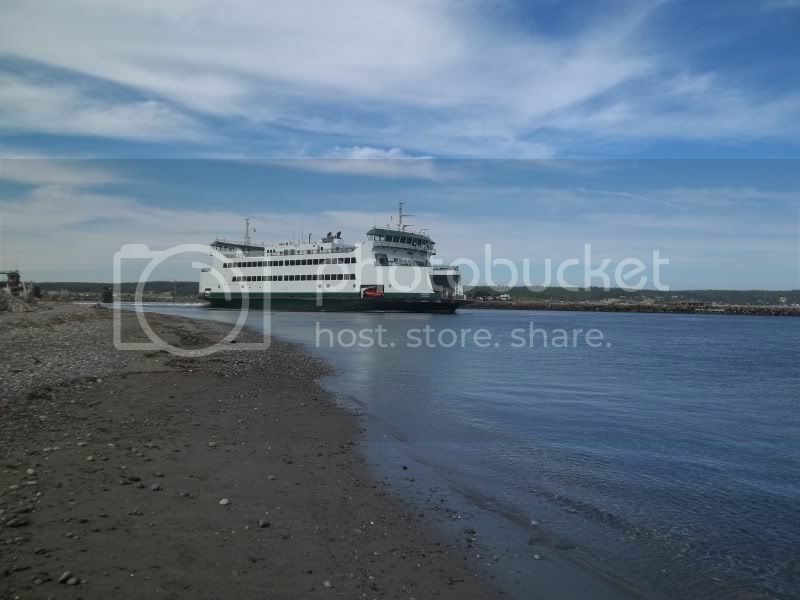 On my way to spend some time at Fort Casey this afternoon. 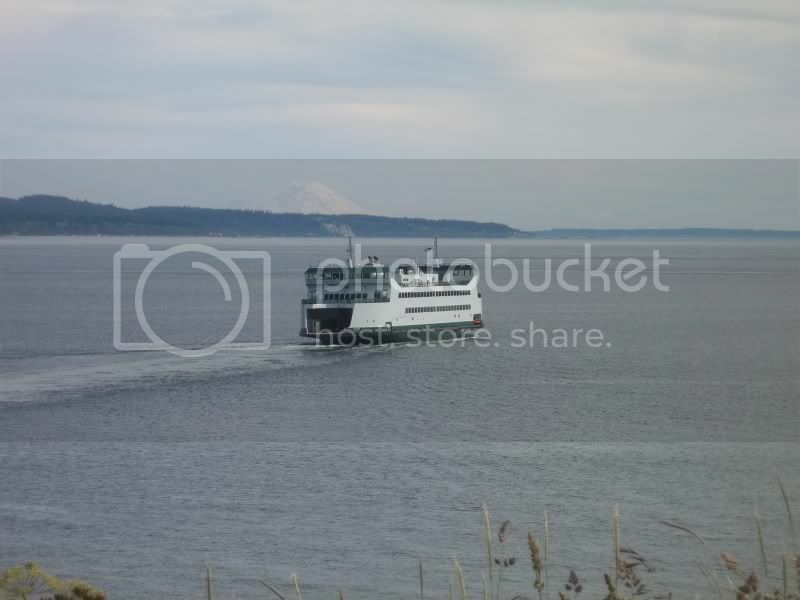 The SALISH returns to Port Townsend. A sporting activity took place at Fort Casey today. Back in Port Townsend with the SALISH in the dock. A closing of my photo contribution for today. 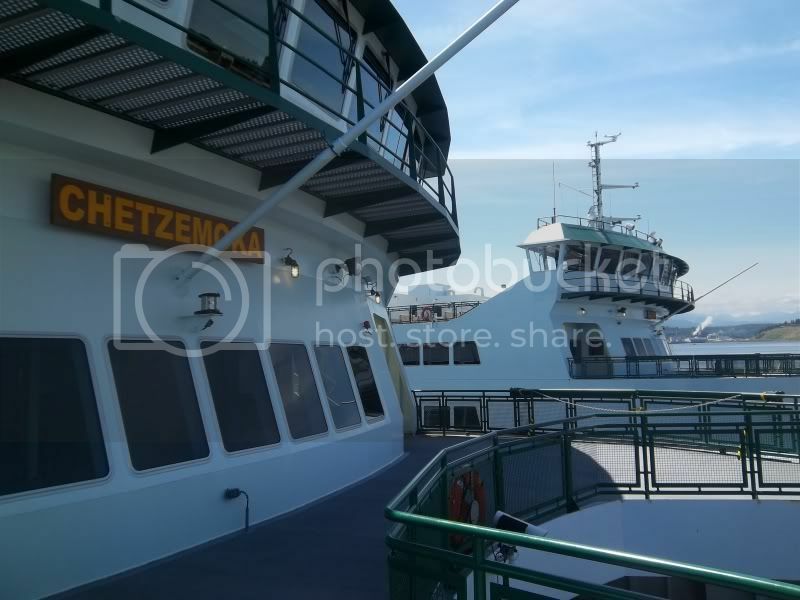 Hopefully, we'll be seeing some public trips taken aboard the SALISH beginning next weekend. Things still sound good for starting the Salish on July 1st. There's still some interior things that need to be taken care of by the vendors, but the boat can run without them (galley and advertising/brochure racks). I'm really looking forward to having both boats in service. If anybody happens to go up there when both boats are running, pay attention to the noise from the Salish. That boat is so loud compared with the Chetz. She has the controllable pitch props, but the wheelhouse crew that I was talking to said that it takes 2-3 minutes for the blades to go from angled (perpendicular to the vessel) to feathered (parallel with the vessel). They said that it is more practical to have one prop pushing and one pulling vs. having one idle and feathered and one pushing. Makes sense to me because they need to be underway and not waiting at the dock for the props to adjust. Don't expect to see her doing full speed during public trips either. The vibration at full speed (or when making an emergency stop) is enough to knock false teeth out (or at least cause discomfort). I have not yet seen a night when the white lights on the sun deck are shut off. 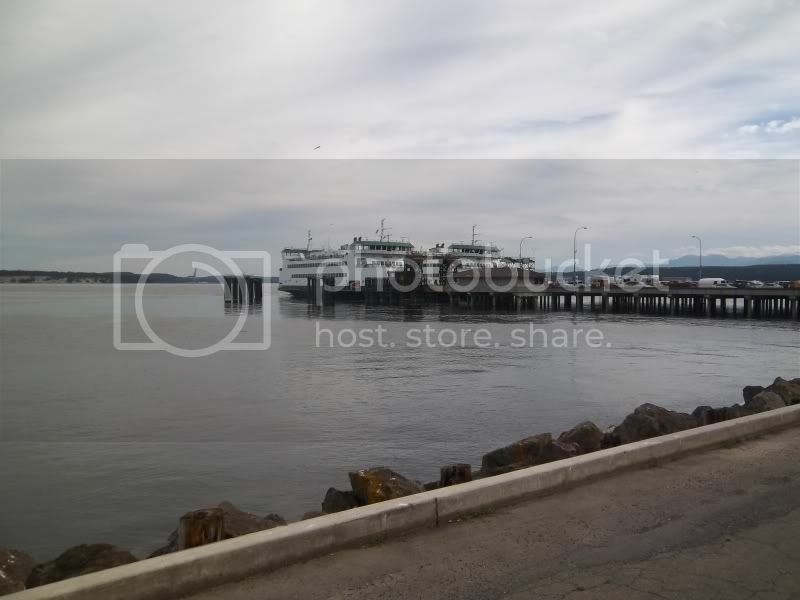 When looking at Port Townsend from Fort Casey, it is very evident where the ferry dock is. Those lights are pretty bright. I really like the idea for having non-filtered lights up there though. 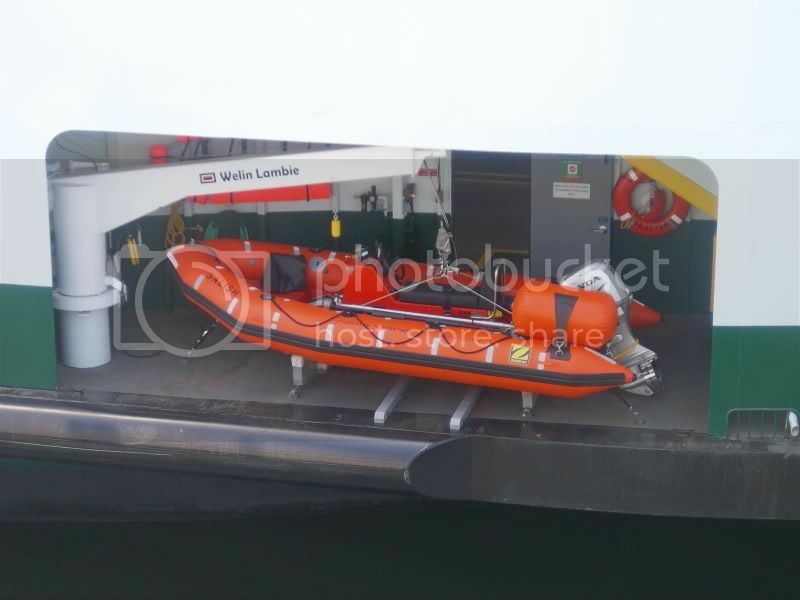 The orange covers that are on the other boats sun decks are just strange. Did you do a roundtrip on the Chetzy?? Do you have to get off to get your ticket? 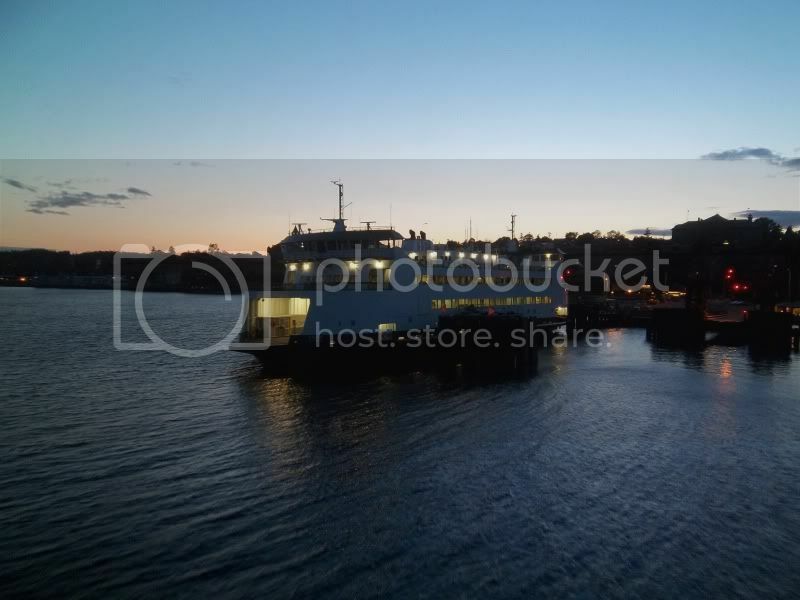 I dont think you can buy it onboard like BC Ferries, lol! 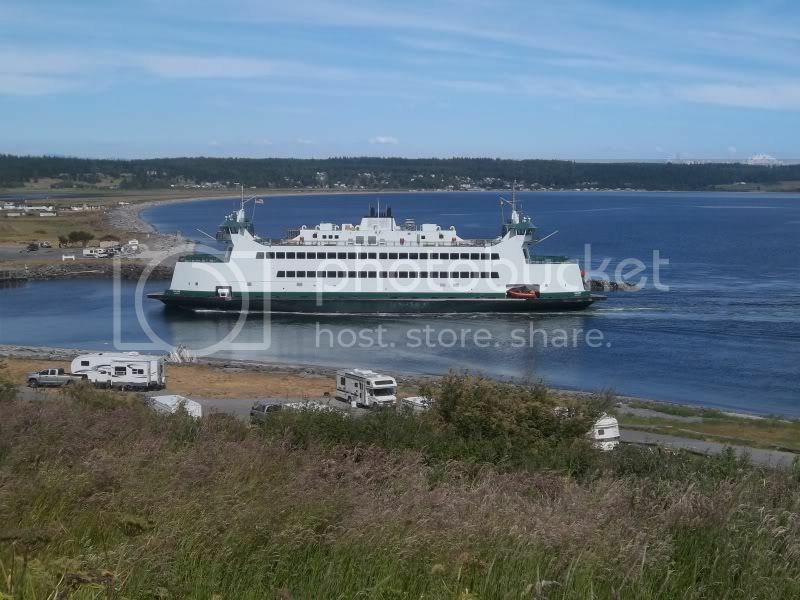 You can purchase your return ticket in advance from one of the Wave 2 Go kiosks at Port Townsend or Keystone, however, you will have to get off and get on the ship due to regulations. Can those Wave to Go tickets be used for any sailing or are they for a specific sailing?? 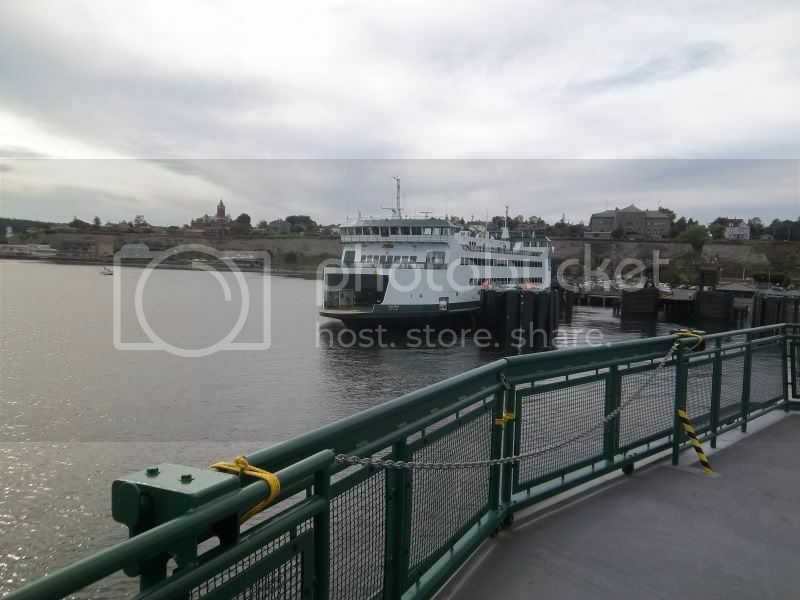 Cause I want to do a day trip one day from Victoria down there to ride the Chetzy and the Salish but I dont know for sure what sailings I would do so that would be good if I decided do roundtrips I wouldent have to go to the Toll Booths and get a ticket. The official sailing of the Salish should be somewhere during the Canada Day Long weekend due to our July 4th holiday here in the states. 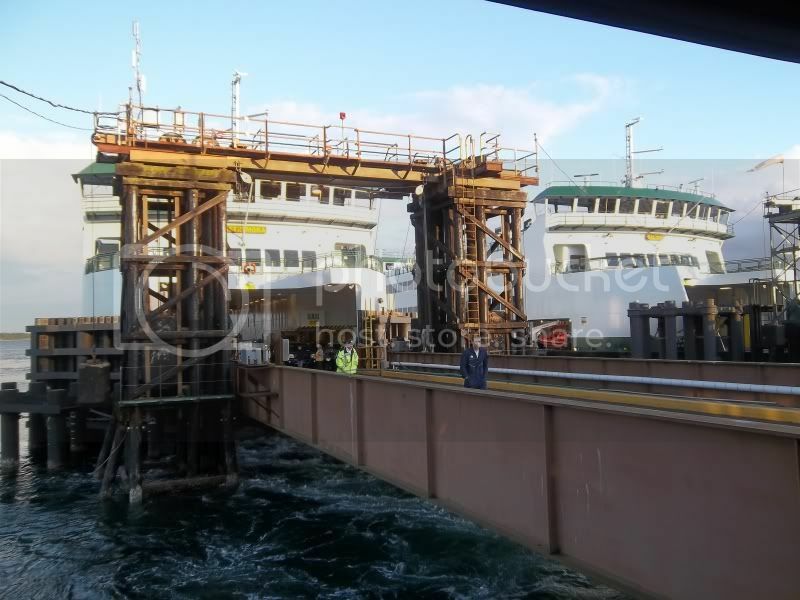 Nothing is official on the Salish coming into service as of yet. You can get as many as you require for the number of trips you plan to take. Also, be sure to fold the used card and put it in a pocket of yours designated "used". One more day of SALISH watching before heading back to the big city. CHETZEMOKA heads out on her first trip of the day at 0630PDT. CHETZEMOKA heads out on her 0930PDT sailing. The SALISH awaits action. We are the lucky ones here. 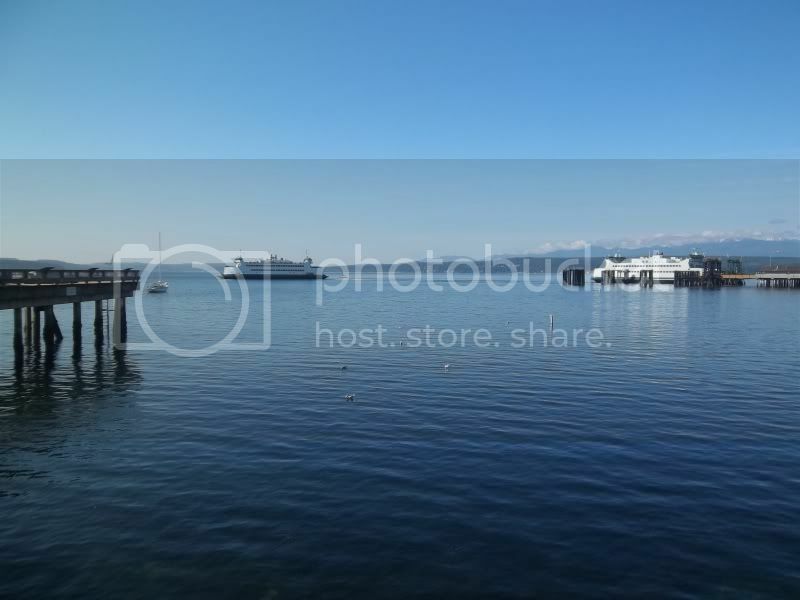 People riding the SALISH's eastern sister ISLAND HOME don't get to see mountains. We take a brief break in SALISH watching. Today, I got to wear my tie as it is Sunday and it was time to pay a visit to this house of worship. 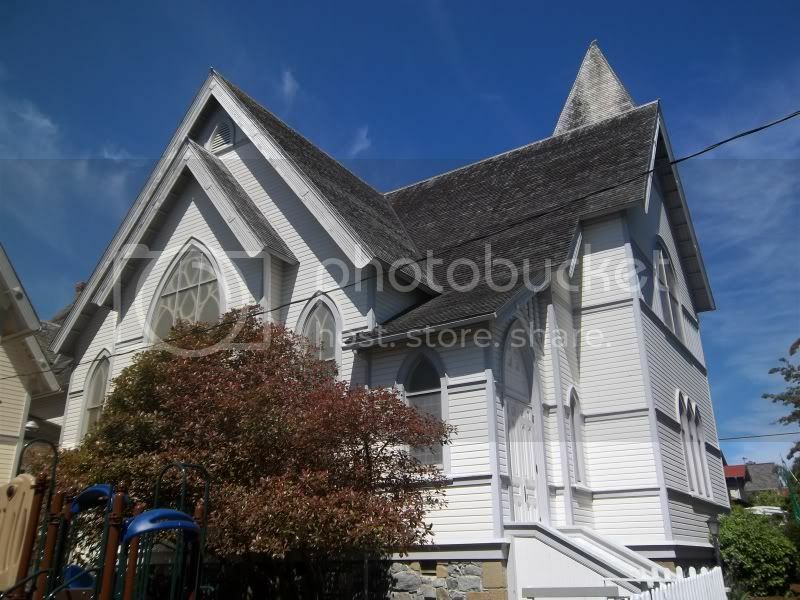 This is the historic First Presbyterian Church of Port Townsend. 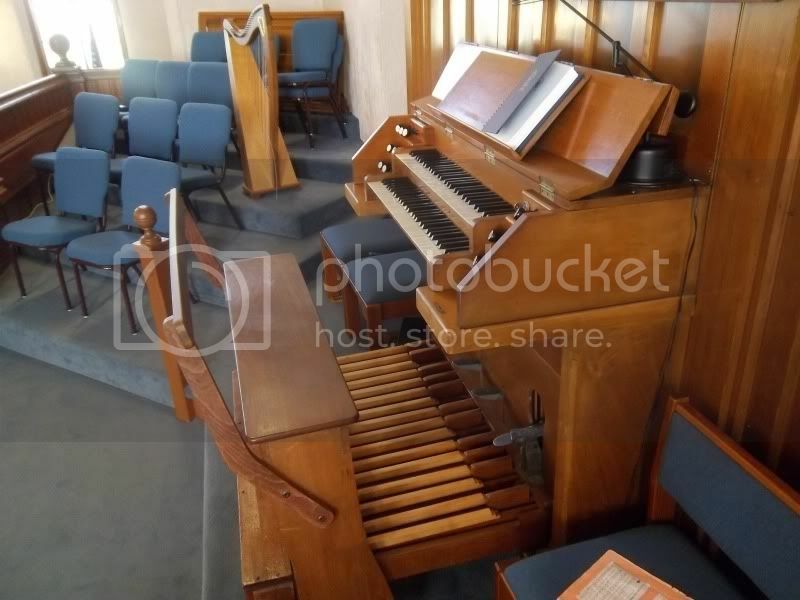 Following the service, I had an opportunity to get a closer look at the console of the church building's tracker pipe organ. This instrument was first used in the 1800's and predates the modern organs and electricity. Everything is manual. The only modern convenience you have is an electric blower that feeds air to the pipes. 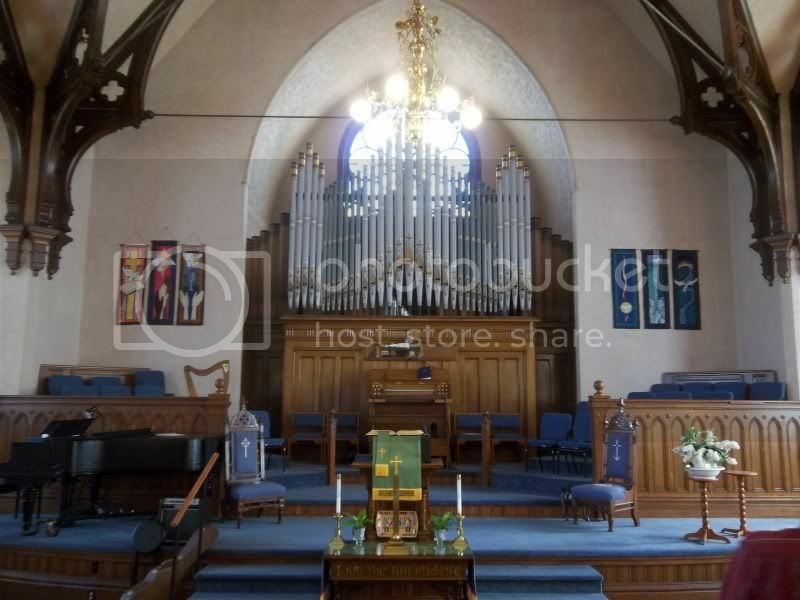 When the lights go out, you could hand pump an instrument like this and the hymns can still be sung with organ under daylight coming in through the windows or by candlelight at night. 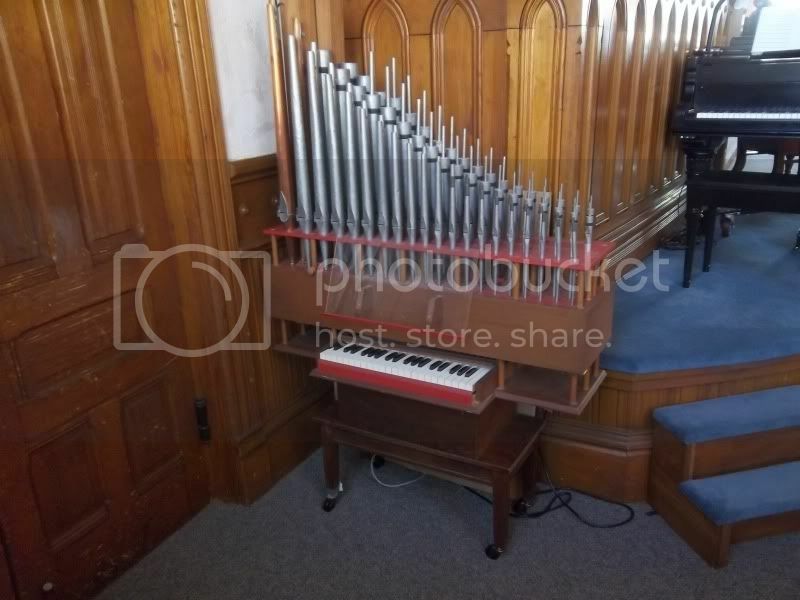 This small pipe organ could be played as desired according to the kind of work that recommends such an instrument. 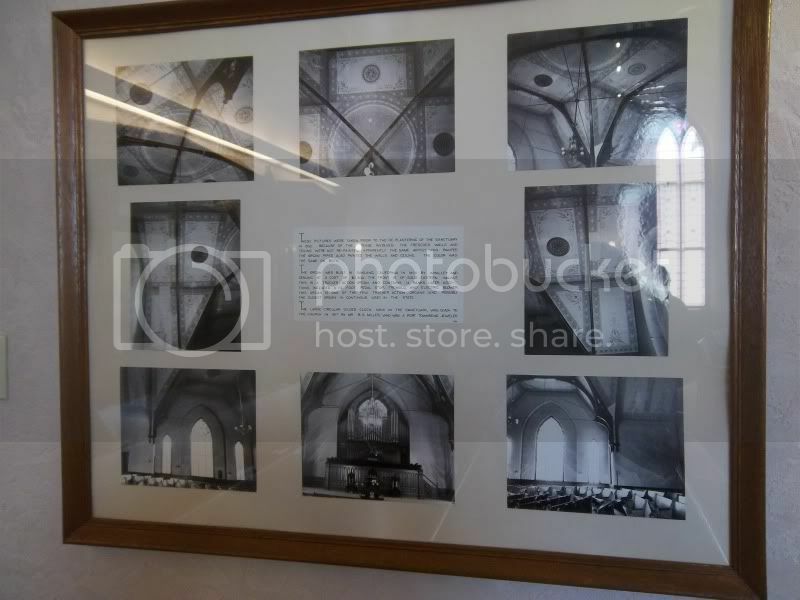 Historic photos of this house of worship. We're back outside again. The CHETZEMOKA leaves on her 1115PDT sailing. SALISH is so patient for action. Time to catch the 1245PDT sailing to Keystone Harbor. One of SALISH's two rescue boats. Underway for Keystone Harbor. My first sailing which the whistle sounded for the departure. The CHETZEMOKA did this a few times today. Back for another visit to Fort Casey. 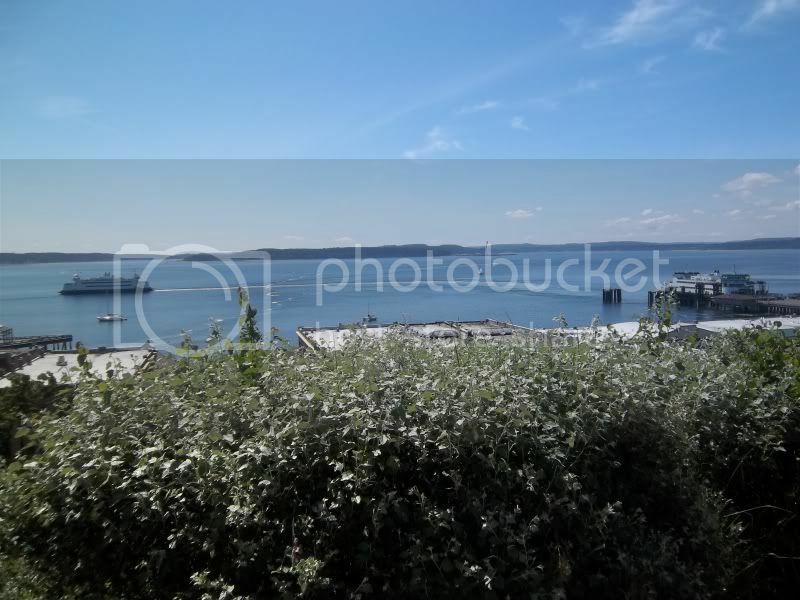 This once protected the entrance of Puget Sound of the Salish Sea. More of this neat historic site. My first visit to this fort was in 1971 when the SAN DIEGO was on the run for Olympic Ferries Incorporated. CHETZEMOKA heads west on her 1330PDT sailing. 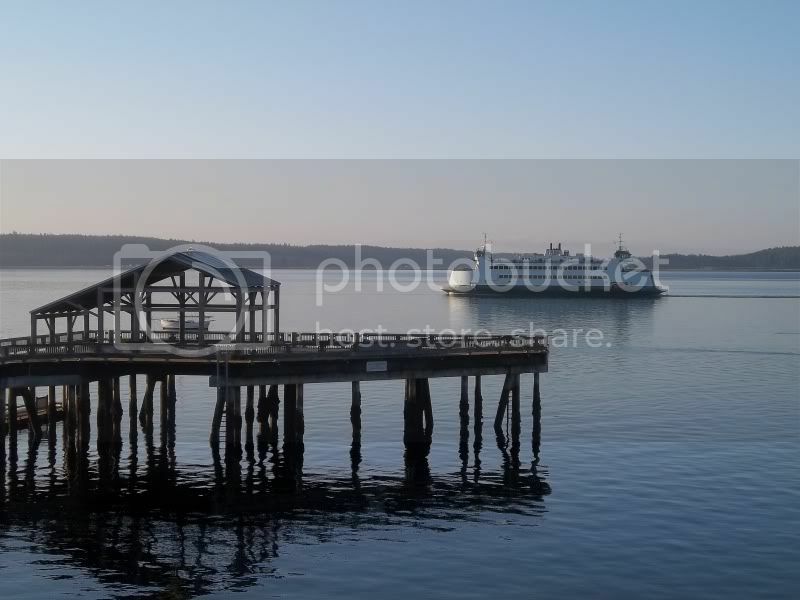 You can see the SALISH still at Port Townsend. The CHETZEMOKA heads west again at 1500PDT. Here comes the SALISH. SALISH readies for an aim to Keystone Harbor. Textbook landing as Mount Baker watches. SALISH heads out for another aim. Out on Admiralty Bay under the watch of Mount Rainier. Changing directions for another aim. Here she comes again. She would do this about four more times this afternoon. At sea level, we see the SALISH perform one last aim for today. Another textbook landing. The PRINCESS MARGUERITE's waves were much bigger than these from the SALISH! With radars out at End Number Two, the SALISH heads out for the last time today. A nice side view of the SALISH. CHETZEMOKA meets SALISH. 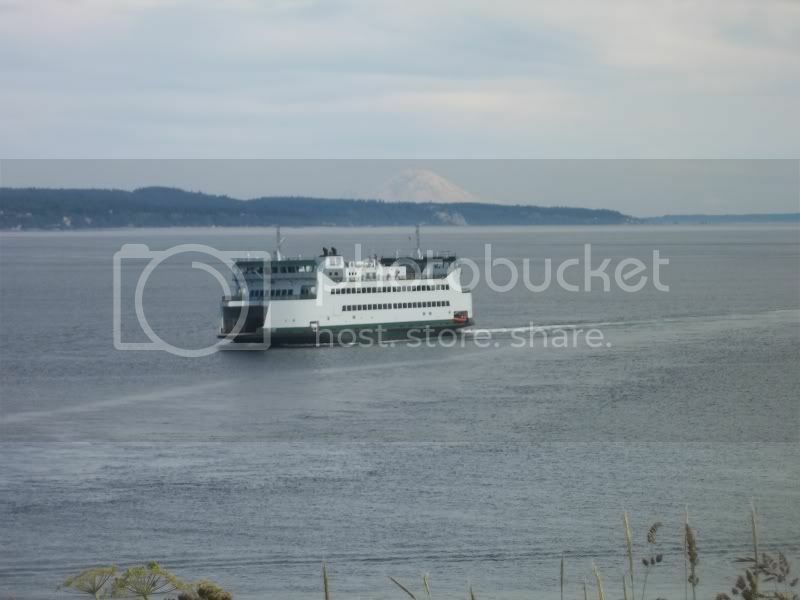 Time to head back to Port Townsend. Back in Port Townsend. The SALISH rests again. Final photo of a great day. 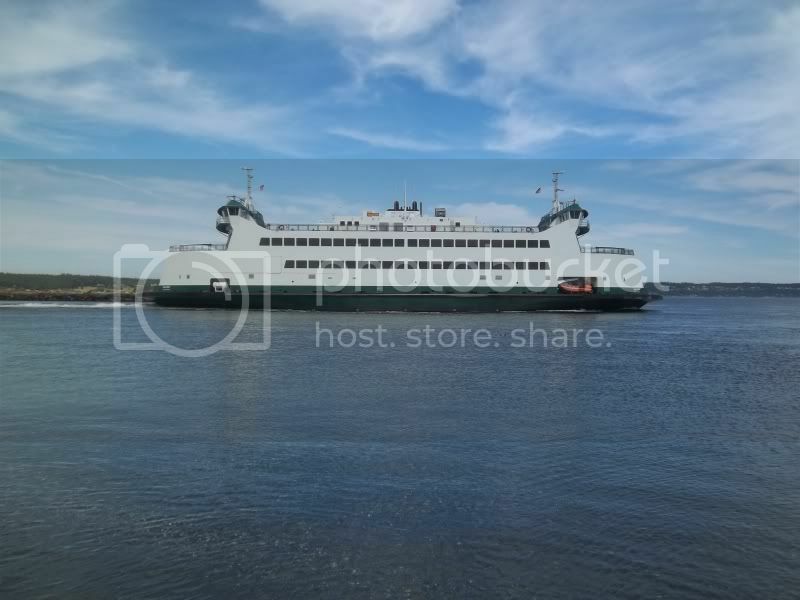 This week sees the SALISH having an Open Ship and, hopefully, her first public sailings. Cool photos! I really want to do a trip down there to ride these boats. Fort Casey that campground would be a cool place to camp. 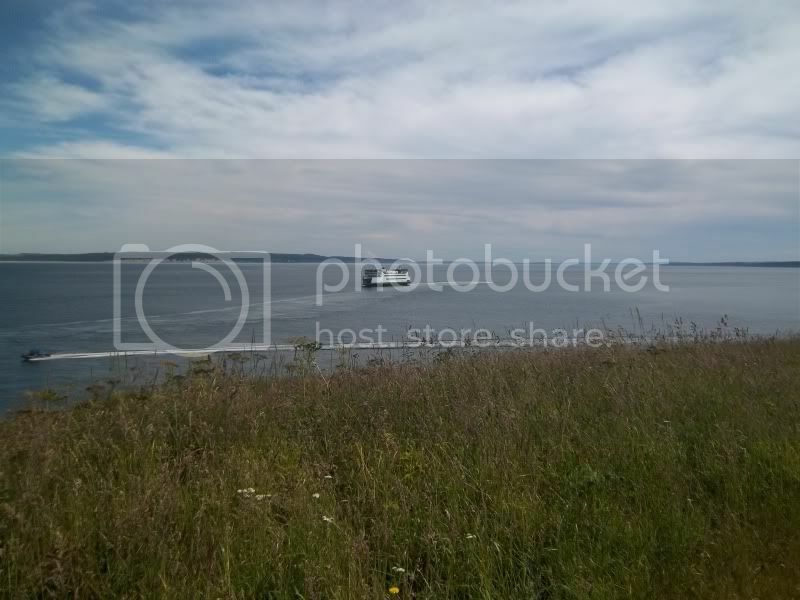 See the ferries come in all day. Looks like some good viewing around Keystone Harbour. I always thought that was a neat little area around there. I think I have only been on that route once. Hopefully this summer I can get down for a day or overnight trip! 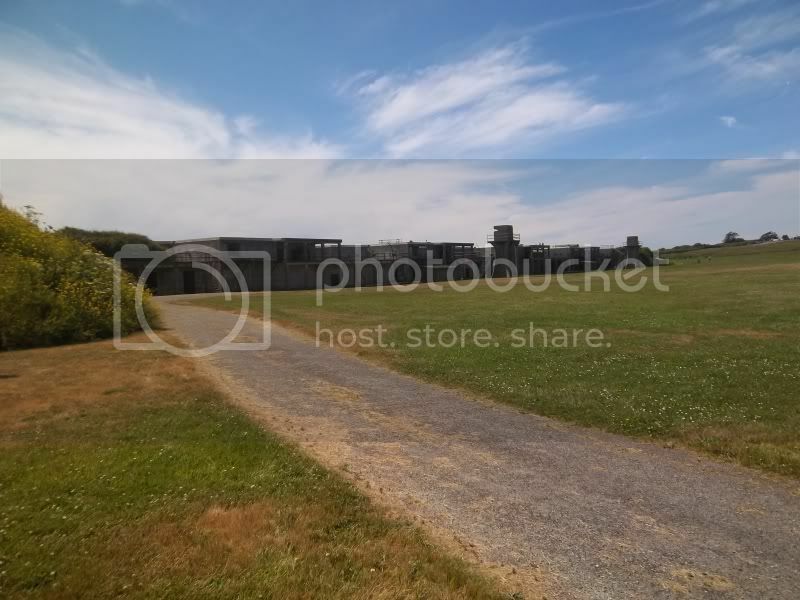 I love going to Fort Casey when I am early. 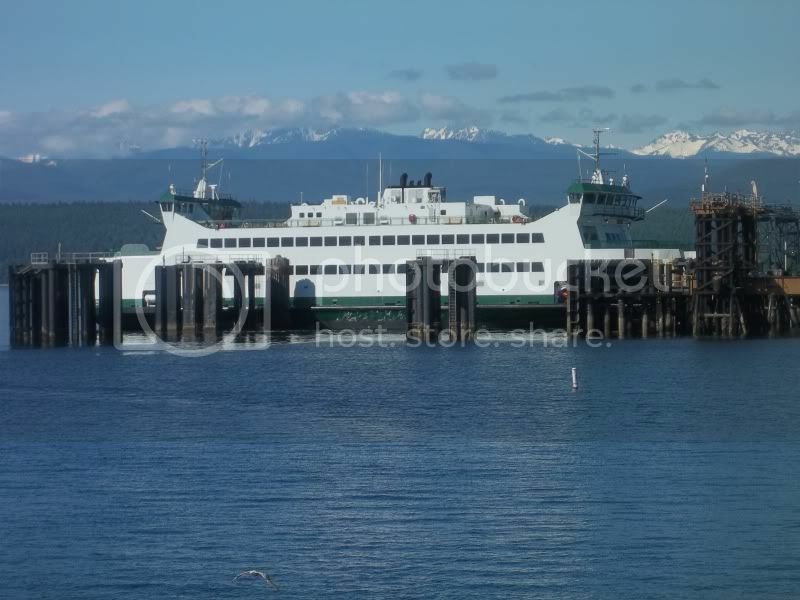 I live in Port Orchard, so I plan for a closure of the Hood Canal Bridge and usually arrive at Port Townsend in time to take the trip before the one that I need to be on. If you can't get a spot at Fort Casey, Deception Pass is spectacular to camp at too. If it's possible, plan your trip around the tides. 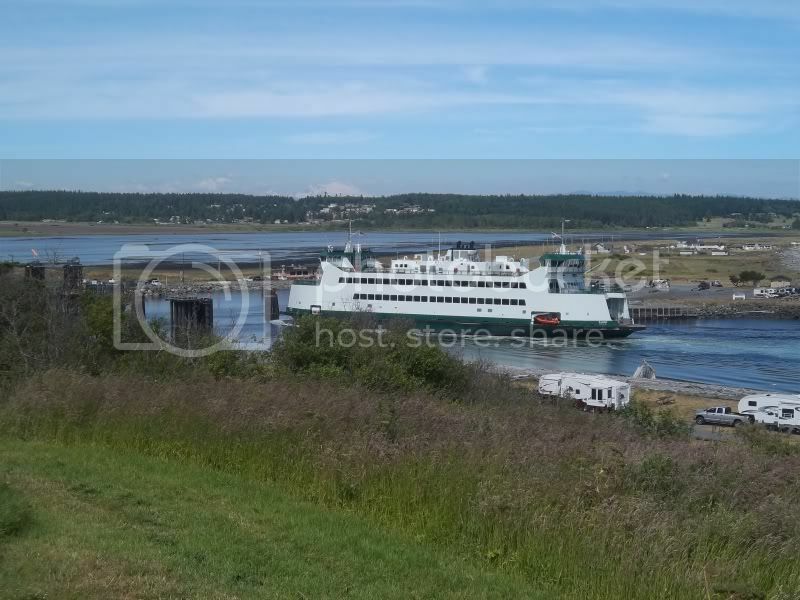 It is real neat to see the Chetz and Salish going through the harbor at low tides. There is still no official start date, but I would not be at all surprised if she is in service on Friday. I think that's why the open house is on Thursday. It would be very beneficial to have her in service for the traffic this weekend. 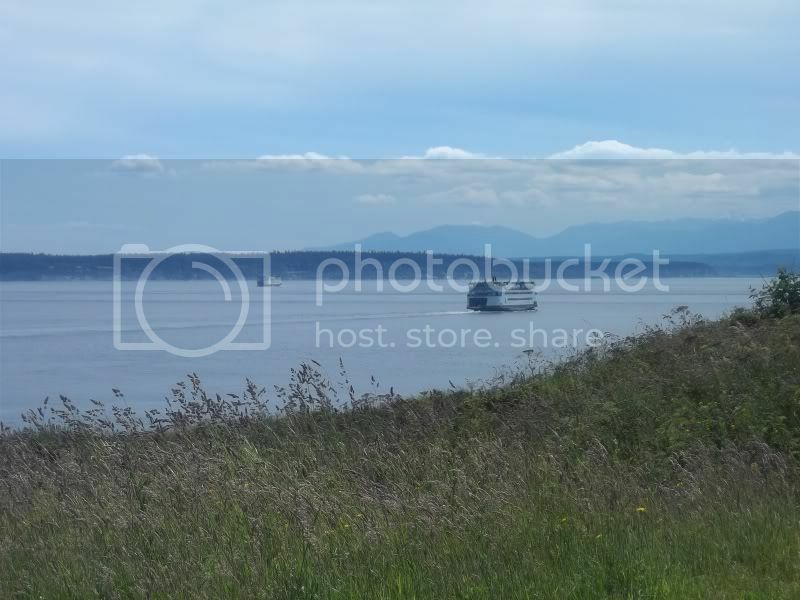 I've looked at that hill overlooking the harbor, and wondered if you could get close enough to the edge from Fort Casey to see down in and get some photos, but never had the time to check either time I've been there. Now I know, and I am excited to go take a swing at it! Great photos, and thanks so much for sharing! Washington expatriate marooned in New York. 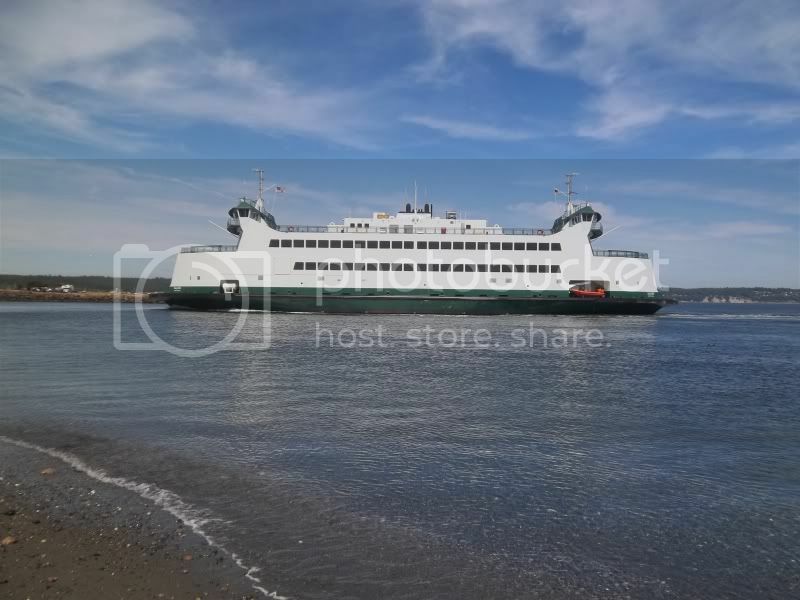 PORT TOWNSEND — An issue with a backup generator could delay the MV Salish’s projected maiden voyage Friday and Washington State Ferries’ goal to have the boat in service to Whidbey Island for the busy July 4 weekend. 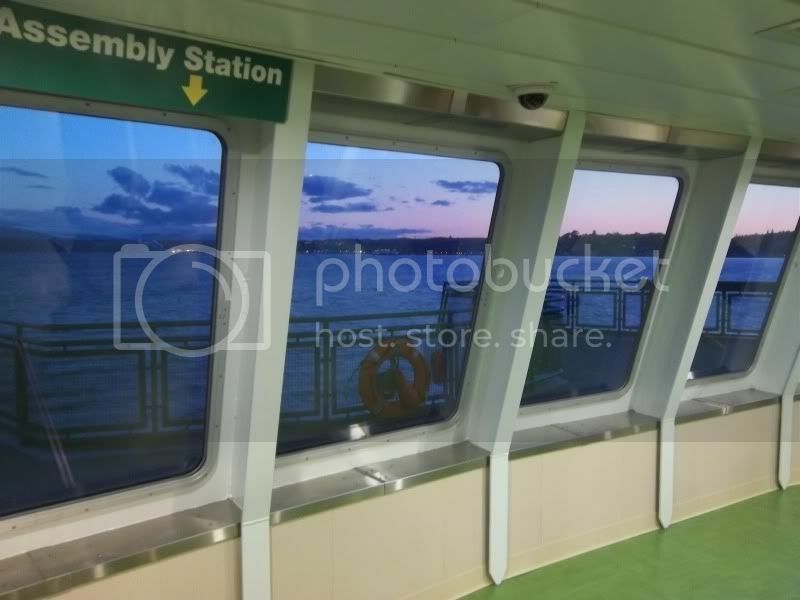 “At this point, getting the boat into service is a day-by-day endeavor,” said state ferries’ spokeswoman Marta Coursey. Coursey said the generator problem was a “technicality” that was discovered Monday. “We are troubleshooting this and hope it is fixed soon,” she said. During the same inspection, the U.S. Coast Guard determined that the Salish’s crew had received proper training and was ready for service. 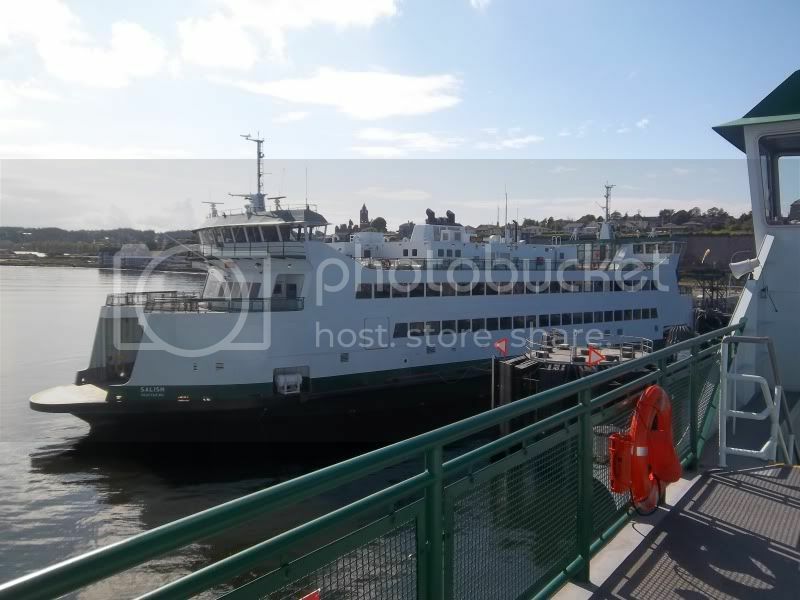 Whenever the Salish takes to the water, it will mark the first time the Port Townsend-Coupeville route will be served by two boats since 70-year-old Steel Electric class boats were taken out of service for safety reasons in November 2007. 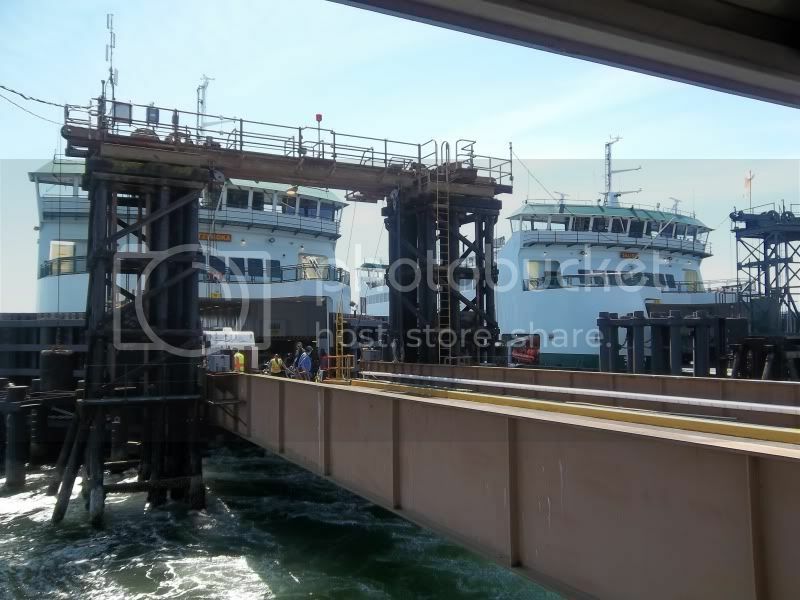 The 64-vehicle ferry is the second of three Kwa-di Tabil class of new ferryboats contracted by the state at a cost of $213.2 million and built on Puget Sound. 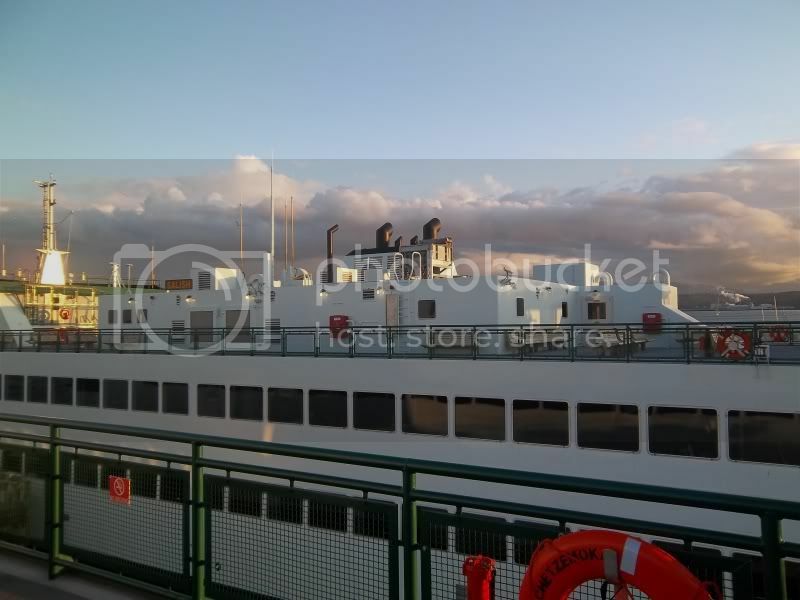 The first, MV Chetzemoka, began service last November. Port Townsend will still host a community celebration for the new boat on Thursday, whether the Salish goes into service Friday or not. The public celebration is planned at 11 a.m. in slip No. 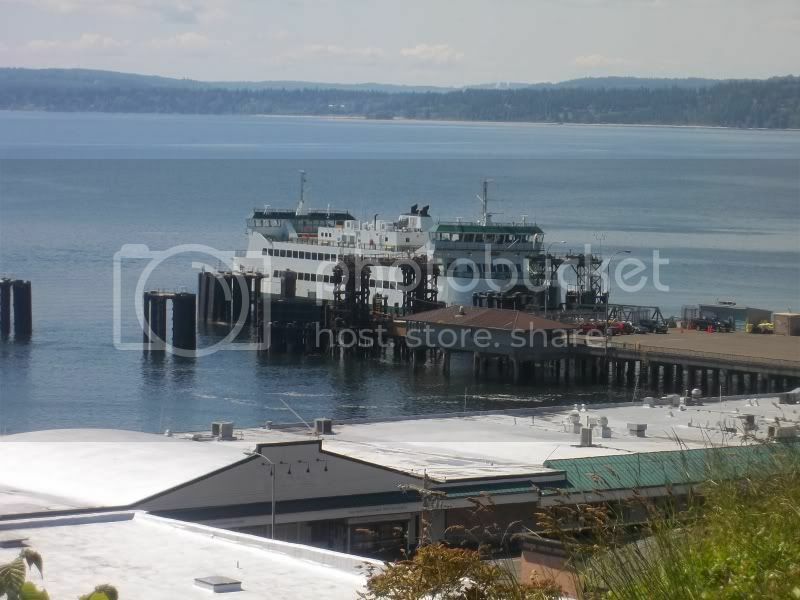 2 at the Port Townsend ferry terminal, with a vessel open house from 11:30 a.m. to 1 p.m. 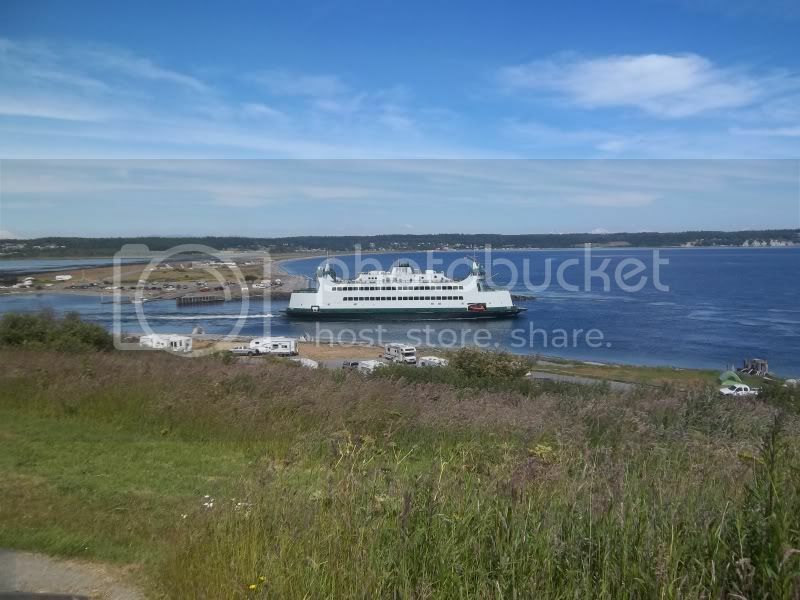 Currently, sailings of the Chetzemoka are 90 minutes apart. With two boats, that time will be cut in half. The celebration for the Salish will be less elaborate than Chetzemoka’s rollout, which featured Gov. Chris Gregoire and U.S., Rep. Jay Inslee, D-Bainbridge Island. 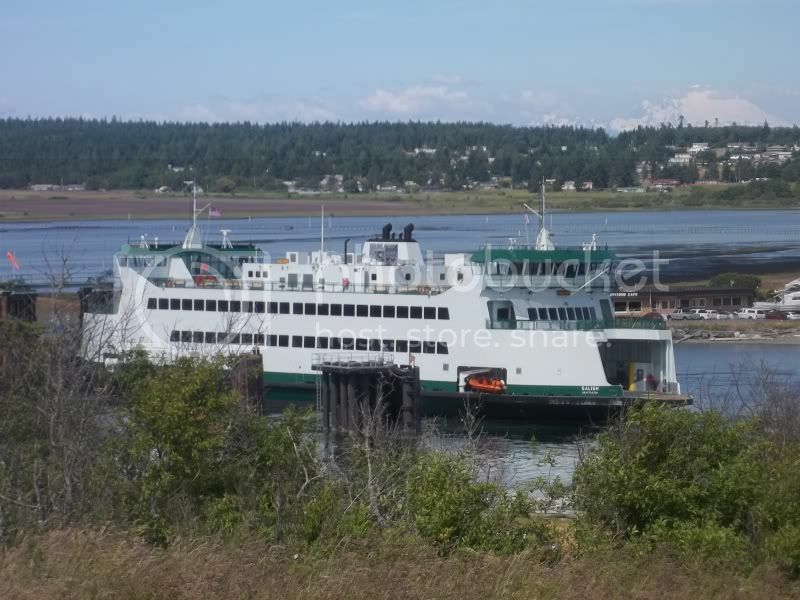 The Salish will be welcomed by state Sen. Mary Margaret Haugen, D-Camano Island, chairwoman of the Senate Transportation Committee who fought to keep the second boat on the Port Townsend-Coupeville route after the state ferries system suggested it could be moved to another route to cut costs. Also scheduled to appear Thursday are Transportation Secretary Paula Hammond and state ferries chief David Moseley. The Port Gamble S’Klallam, Jamestown S’Klallam and the Lower Elwha Klallam tribes will present a welcoming ceremony with speeches, singing, dancing and drumming. 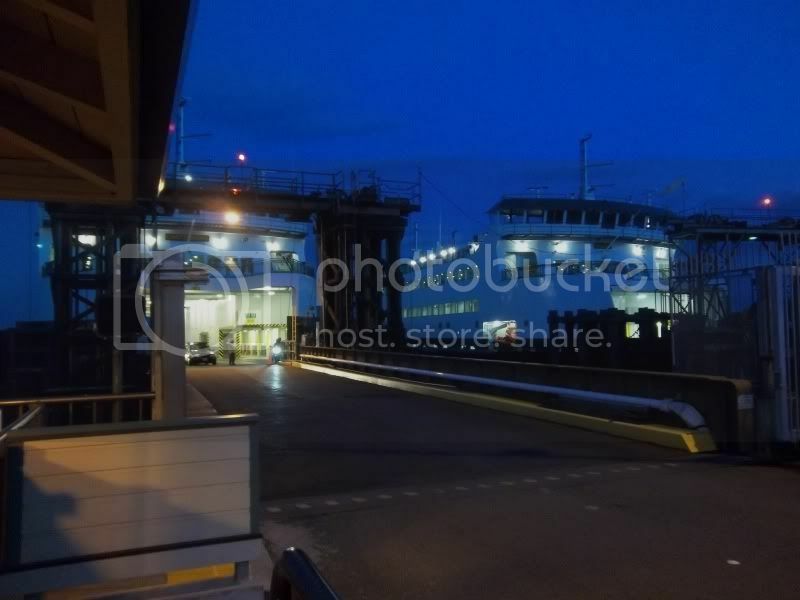 Well, if the backup generator on the Salish cannot be fixed quickly, they can always grab the backup generator from the Kennewick to use in a pinch. Why are they just finding this "technicality" now?! I know it's a boat and stuff will happen, but I would like to have seen all of the issues happen before this point in time. At least you spelled that right! If you had spelled "BARTH", we would have been eating his awful burgers. Do you remember that kids show "You Can't Do That On Television"? 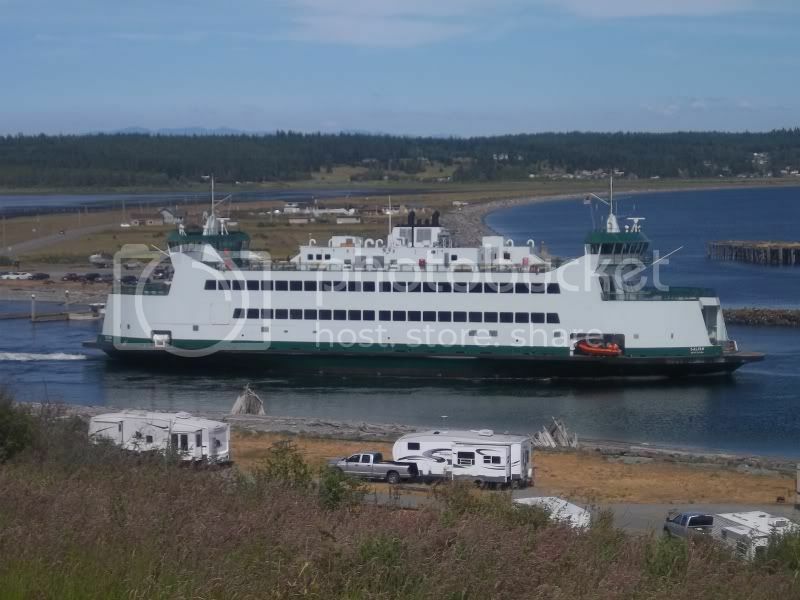 We get news that the SALISH will make her first public run at 1200PDT on Friday from Port Townsend to Keystone Harbor at Coupeville. I e-mail WSF and ask why they did not paint the green band on the bottom of the stack . This is what they told me. 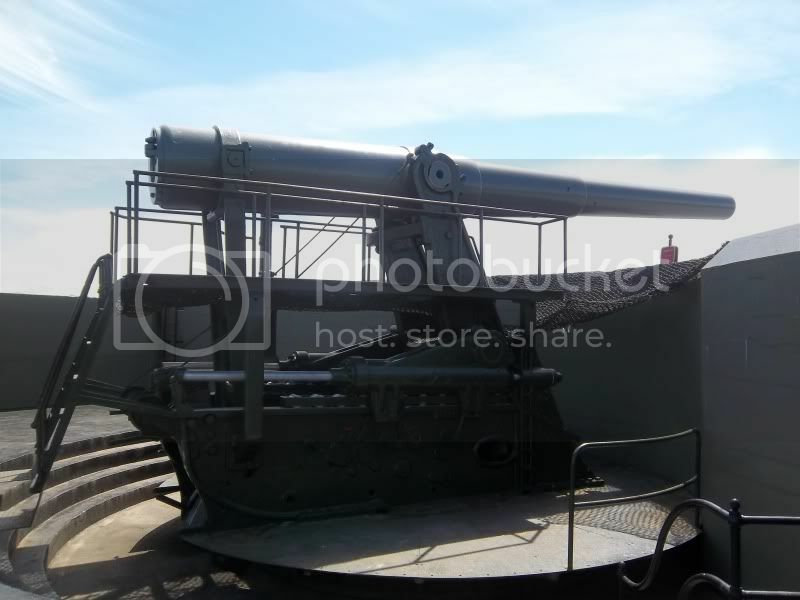 I was told that the green band was simply missed in the paint specification, and they’re going to add it when the Kwa-di Tabil vessels are due for new paint jobs. Does that mean in 7 years ? 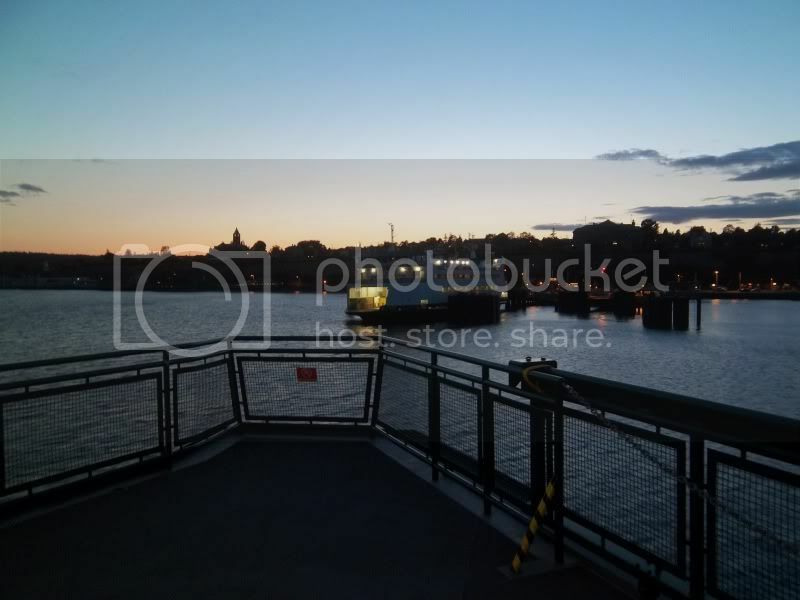 I have seen a article that is when they paint the ferries. 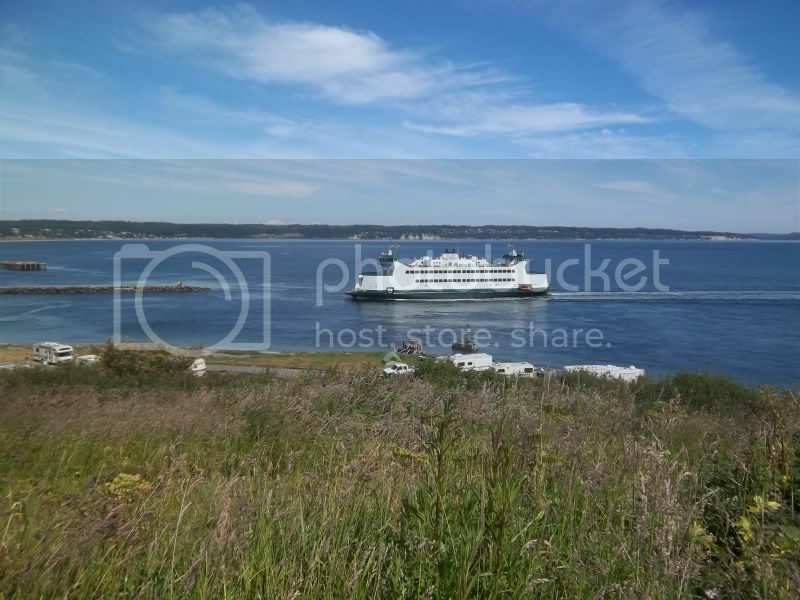 Very nice pictures , but i don't know if i will ever get use to seeing two ferries at a dock leaning to port or out of the waters ! ! How do they decide which end will be end #1 or #2 . The reason i ask is, it would have been nice it frpm PT or Keystone harbor could see the stack that is hidden all of the time. The No. 2 end on all the boats faces east. The No. 1 end faces west. Not too sure why, but it's been that way as long as I can remember. 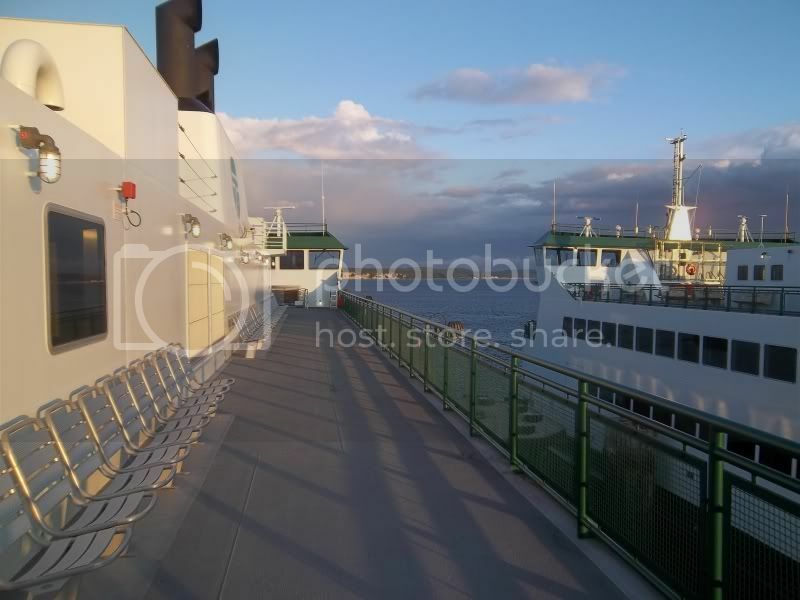 Galley on the east (which would be the "Seattle" side) and restrooms on the west (which is the Island/Peninsula side). With elevators on all the boats (except the Hiyu), it is easy for the crew to know where the elevator is on each type of boat. WSF has procedures and policies for almost everything. There are a lot of them that relate to ADA accommodations and the location of the elevators is important. There is a lot of planning to ensure that the elevator access is not blocked off, especially where there's no overhead walkway. 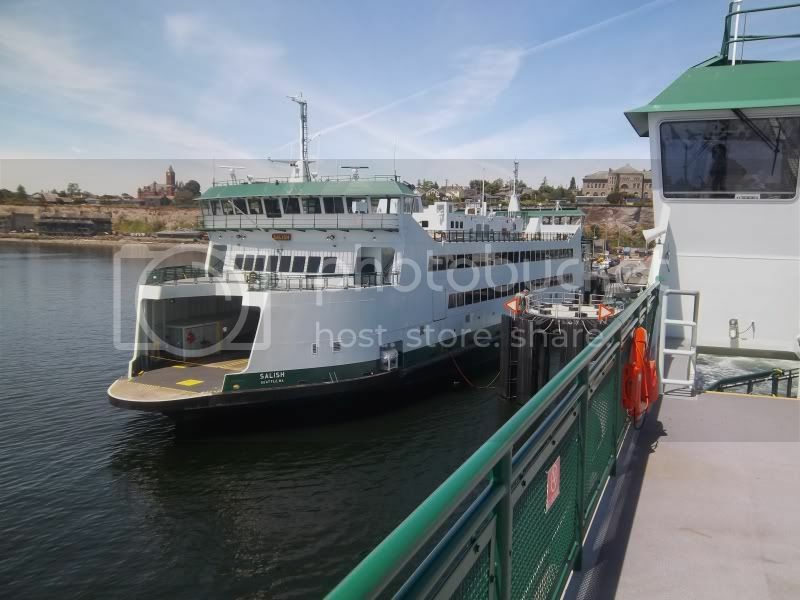 I'm sure there are some minor variances, like where the boats have to turn around (San Juans and Vashon), but unless there is a maintenance need or something, the No 1 and No 2 ends are going to be consistently facing the same direction. I heard a little talk about whether or not the new boats will be turned around during rough weather from the north to have the list of the vessel going into the waves, but it does not sound like that will happen. It's really funny looking to have them both listing the same way though (I still don't like it).